1Not available with special finance or lease offers. See dealer for details. 2Transferable within household, Stacks on CTA second deliveries, Offer valid for owners/lessees of non-GM vehicles, 1999 or newer, Not stackable with GM Employee and Dealership Employee deliveries. Must own non-GM vehicle for a minimum of 30 days. Not available with some other offers. Take delivery by 04/30/2019. See Baker Cadillac for details. 1Transferable within household, Stacks on CTA second deliveries, Offer valid for owners/lessees of non-GM vehicles, 1999 or newer, Not stackable with GM Employee and Dealership Employee deliveries. Must own non-GM vehicle for a minimum of 30 days. Not available with some other offers. Take delivery by 04/30/2019. See Baker Cadillac for details. this ct6 was one of former loaner cars that is now priced to sell! 1See salesperson for Details 2Not available with special finance or lease offers. See dealer for details. 3Transferable within household, Stacks on CTA second deliveries, Offer valid for owners/lessees of non-GM vehicles, 1999 or newer, Not stackable with GM Employee and Dealership Employee deliveries. Must own non-GM vehicle for a minimum of 30 days. Not available with some other offers. Take delivery by 04/30/2019. See Baker Cadillac for details. 1See salesperson for Details 2Transferable within household, Stacks on CTA second deliveries, Offer valid for owners/lessees of non-GM vehicles, 1999 or newer, Not stackable with GM Employee and Dealership Employee deliveries. Must own non-GM vehicle for a minimum of 30 days. Not available with some other offers. Take delivery by 04/30/2019. See Baker Cadillac for details. 1See salesperson for Details 2Not available with special finance or lease offers. See dealer for details. Why is the CT6 such a desirable car for the Leominster driver? The Cadillac CT6 is a highly-rated full-size luxury car with sleek styling. It does better than rival models because the base model comes with a 256-hp 2-liter four-cylinder engine. If you want more power, you can order the optional 335-hp, 3.6 liter V-6 or 404-hp 3-liter twin-turbo V-6 with all-wheel drive. You can use onboard 4G LTE Wi-Fi to connect to Apple CarPlay and Android Auto, using a state-of-the-art touchscreen display. Other high-end options you may want to consider include a 34-speaker stereo, a giant sunroof and adaptive cruise control. 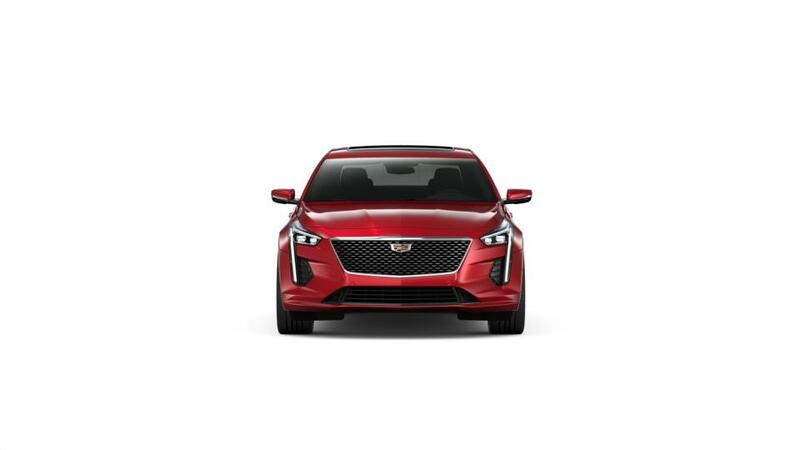 Search our inventory of Cadillac CT6s to choose the color and trim that work best for you. See above for more details, or call us at (978) 534-6566 about buying or leasing a CT6 in Leominster.